We heard about them twice in 5 days from very different people, that’s a sign. 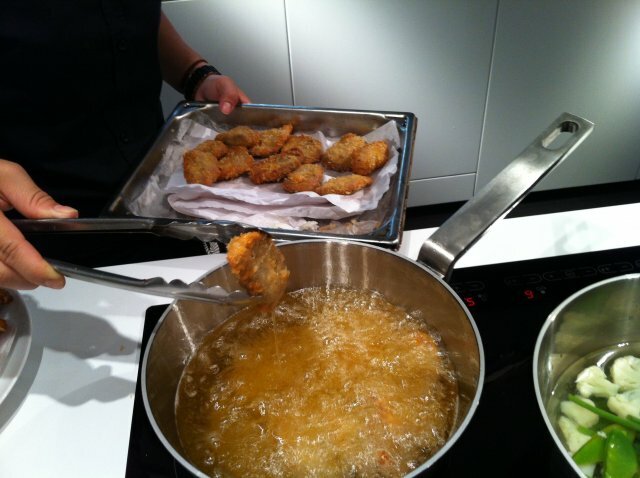 So that was a very good surprise to know that the Ma Yucca sisters were aboutt to cook for a special opening night we were invited to, in Nice. The place was the Gallery Sandrine Mons, showing the pieces of french artist Henri Olivier (you can also see his work in the Nice museum of Modern Art, MAMAC), then direction the kitchen of the design showroom LOFT just nearby, for a private “Nice meets Tokyo” delicious diner. 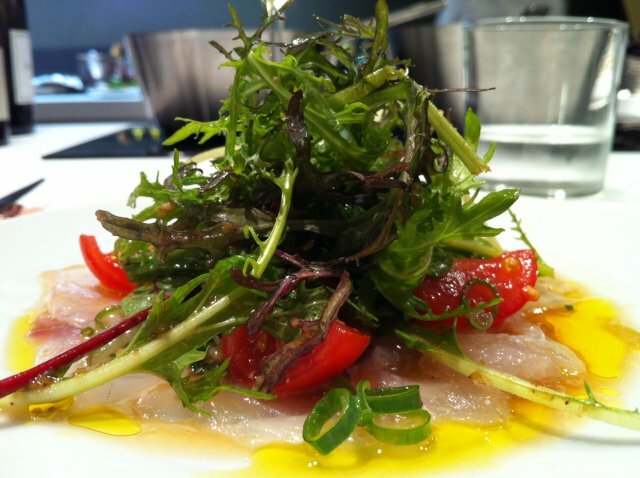 Sea bream carpaccio and mozarella buffala with a lime, mandarin olive oil ceviche sauce, and a japanese mesclun sesame sauce. This was such a delicate mix of taste in your mouth, nothing to strong or consistent or whatever, just a subtle perfect harmony. Then comes the coated with breadcrumbs pork “filet mignon” and his tonkatsu tartare sauce, sweet potato purée and market vegetables. More traditional but still perfect. 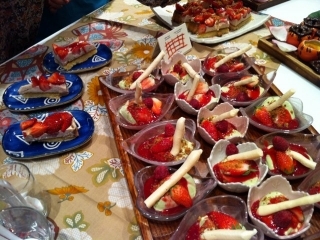 And finally, everybody went crazy for desserts: green tea pannacota, yuzu “crème brulée”, then “strawberry/sweet red bean” pies, as good as beautiful to be seen. The entire meal was the encounter between french an italian Riviera Cooking with fresh ingredients from the local market, plus a twist of japanese tradition refinement and typical products like yuzu, sesame or red beans. For sure it was “haute cuisine”. Ok, so now you’ve met their food, meet the sisters: Yuka Ueda is the “chef”. 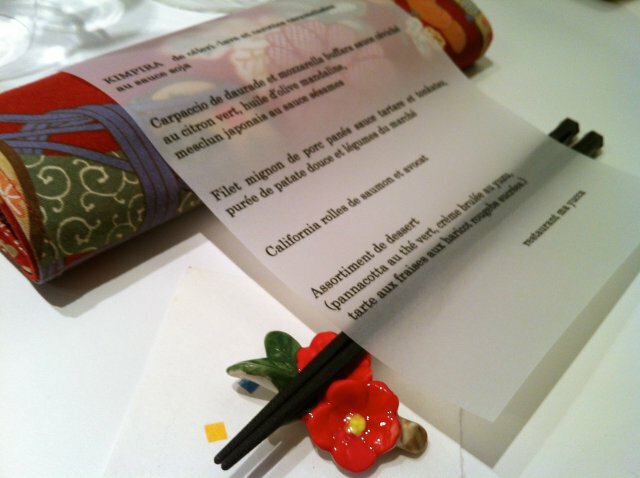 She studied french cooking at the Ecole Hôtelière Tsuji in Lyon (France), then has worked in different 2 stars Michelin restaurants, good training! 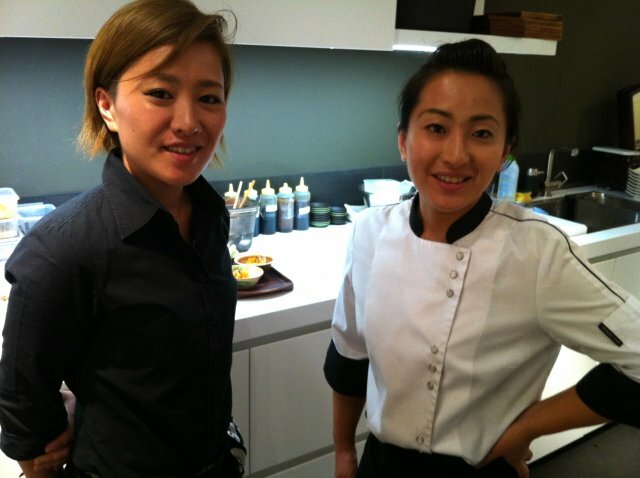 Her sister, Mayu (Ma Yucca is the contraction of their 2 names), use to work for trendy bars in Tokyo. 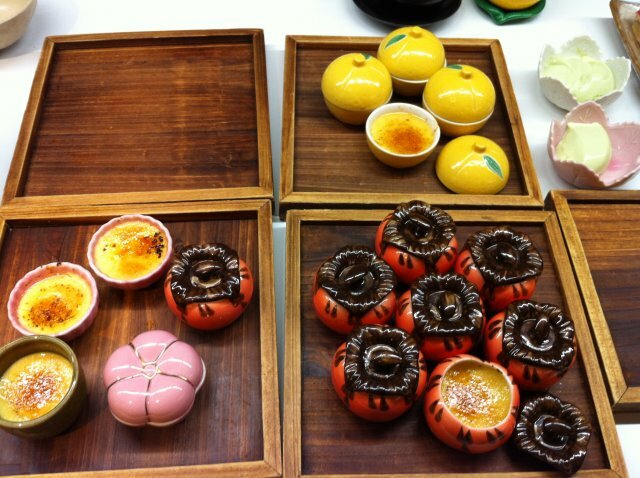 They open their charming little restaurant Mayucca in Nice, and on the other side of the street a little store called “Mayucca Maison”, where you can find delicate japanese faience and napkins; we gonna visit both very soon and share the experience with you. Ma Yucca, 26 rue de a Buffa, 06000 Nice. Tel: +33 (0)4 95 88 39 84. Open from noon to 2:00 pm, then 7:00 pm to 10:00 pm. Closed on sundays and mondays. Ma Yucca Maison, 37 rue de la Buffa, 06000 Nice. Tel +33 (0)4 95 88 39 84. Open from 11:00 am to 7:00 pm. Closed on sundays and mondays. Previous postCucumber Apricot Radish Salad Next postFear not the artichoke!